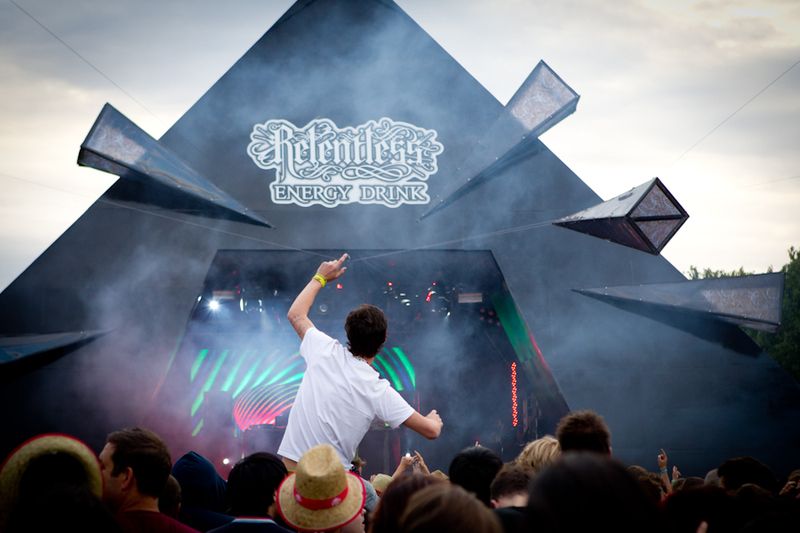 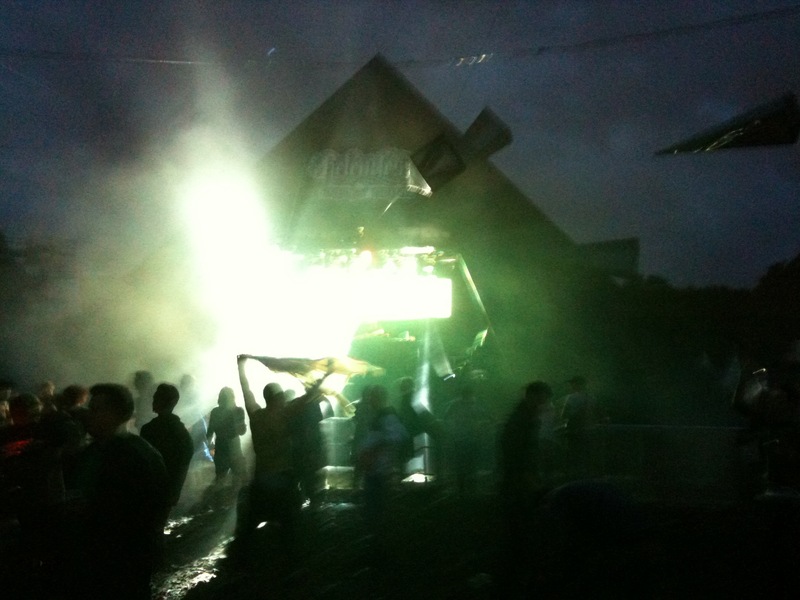 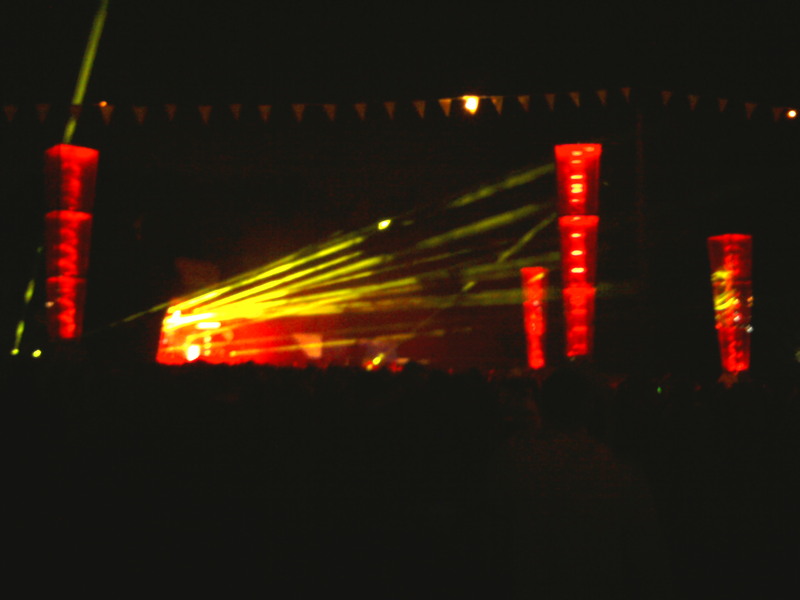 The brief: To turn the artwork on a relentless can into a stage for various music events. 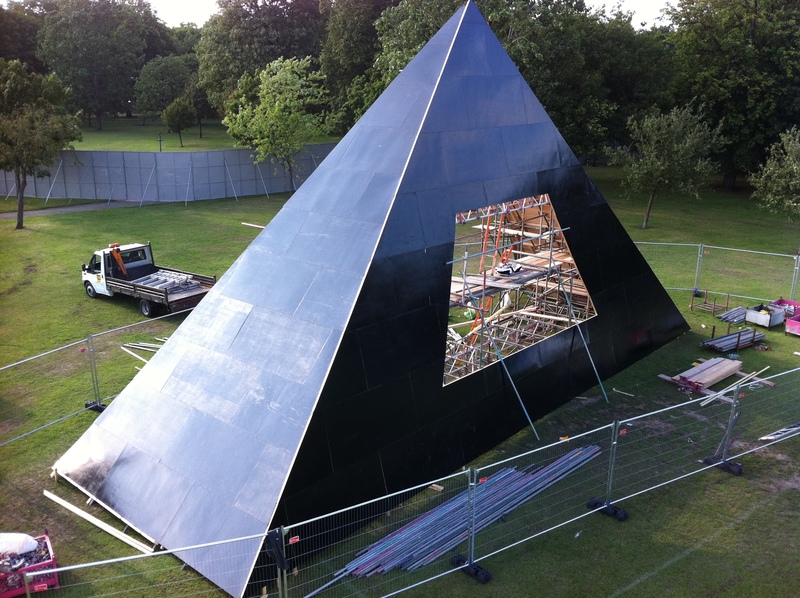 Thus, taking inspiration from a particular can with electric blue shards of lighting emanating from the pinnacle of a dark pyramid. 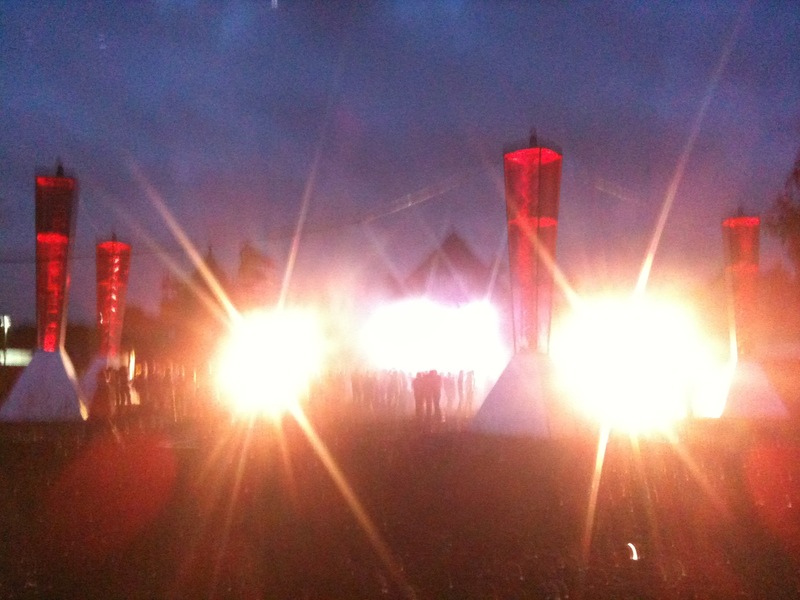 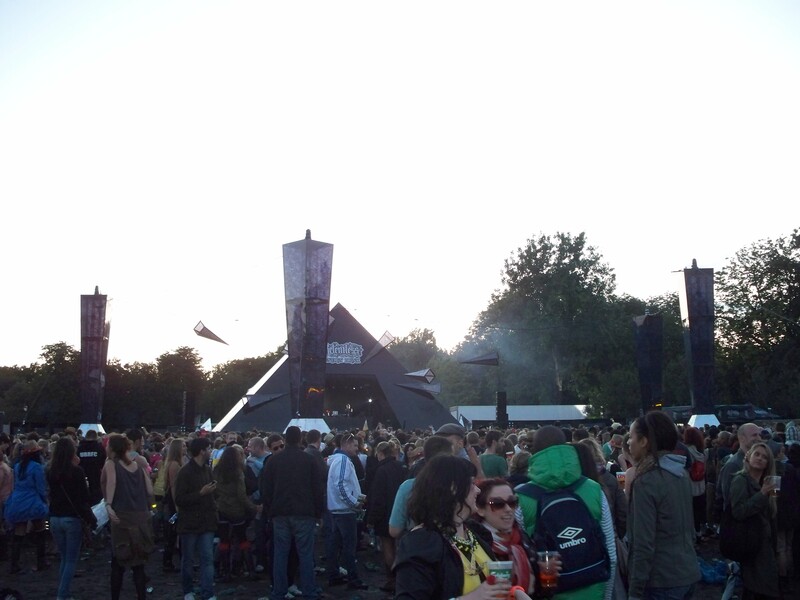 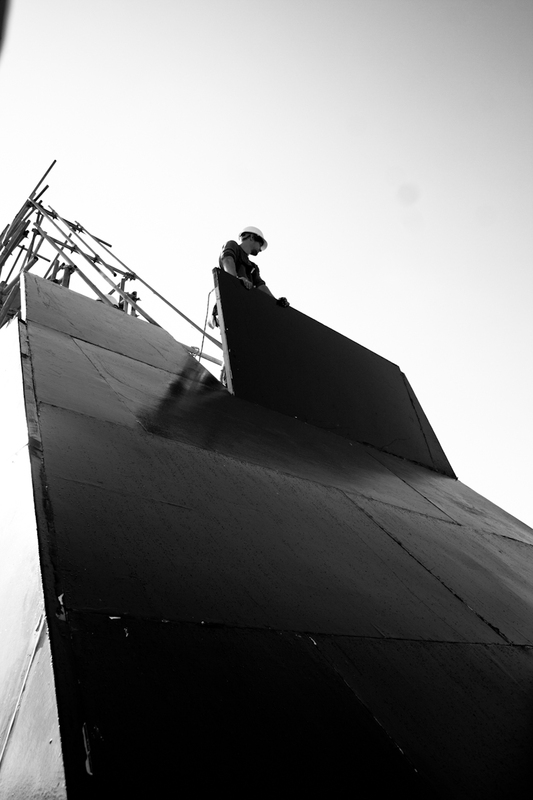 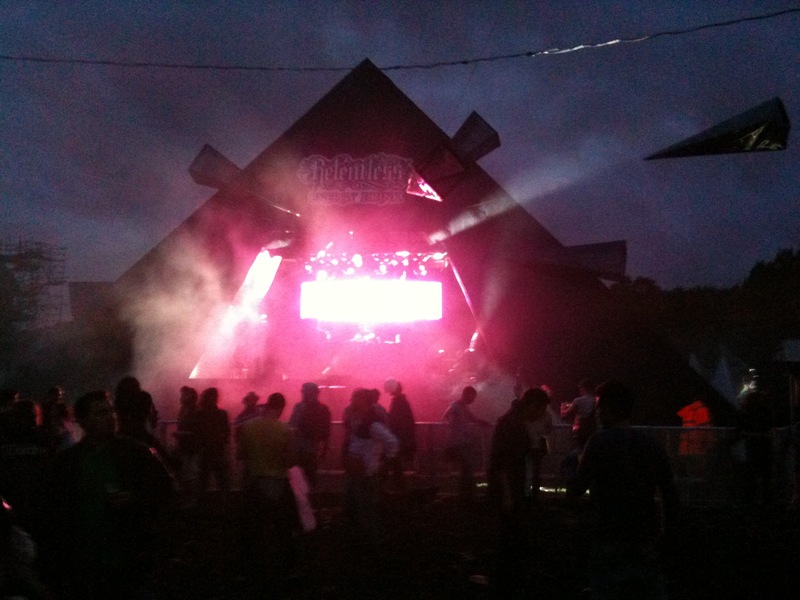 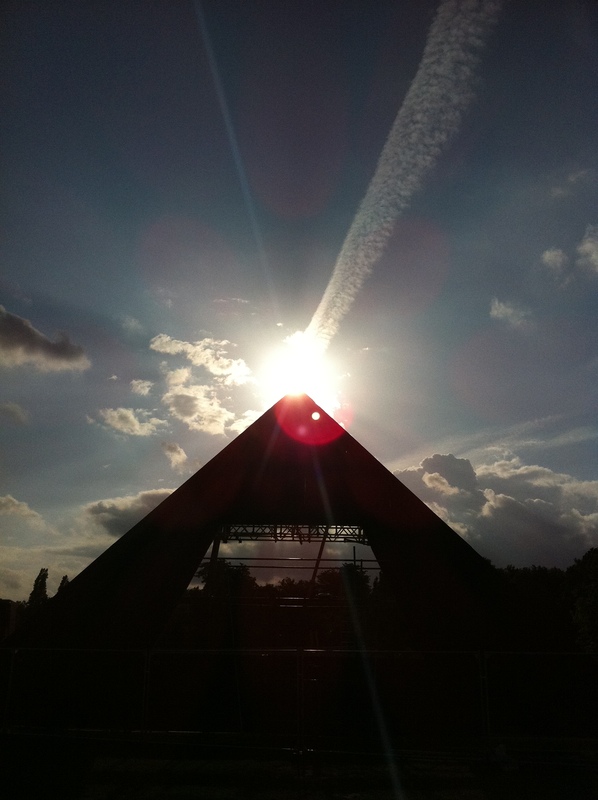 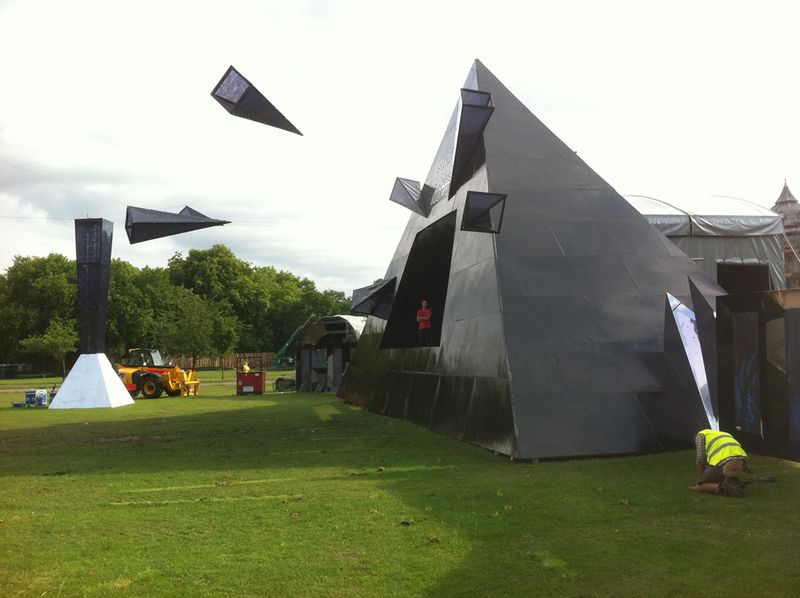 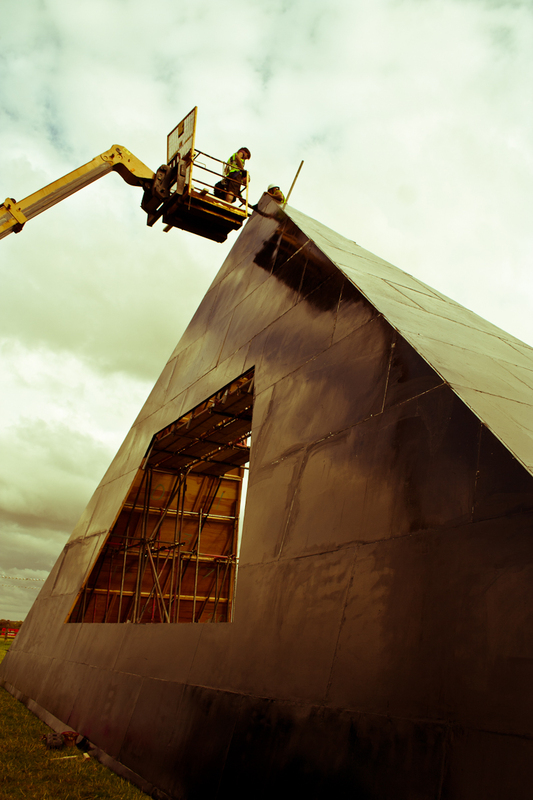 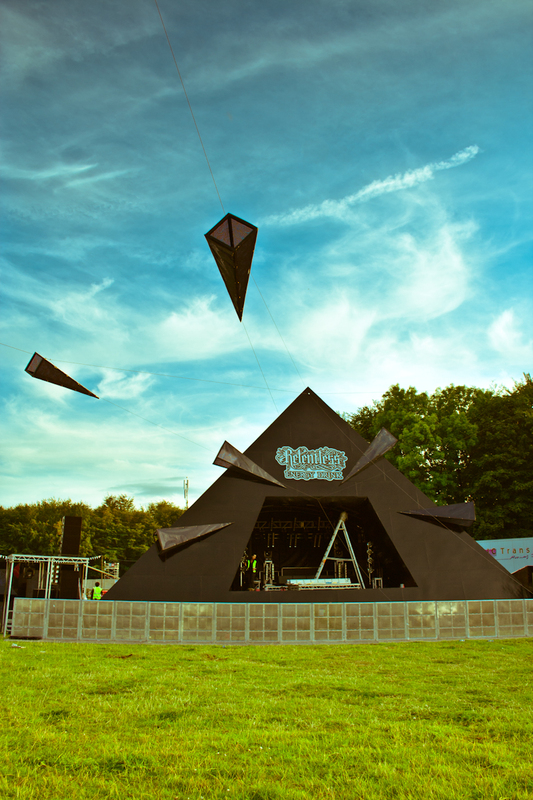 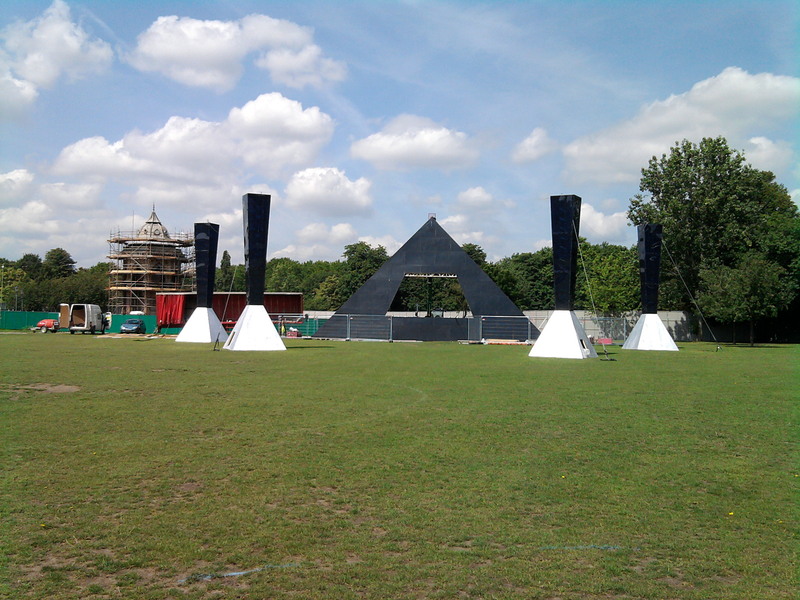 I designed a 3 dimensional version consisting of a 15 metre high by 18 metre wide gloss black pyramid with a stage set up cut into one side of it. 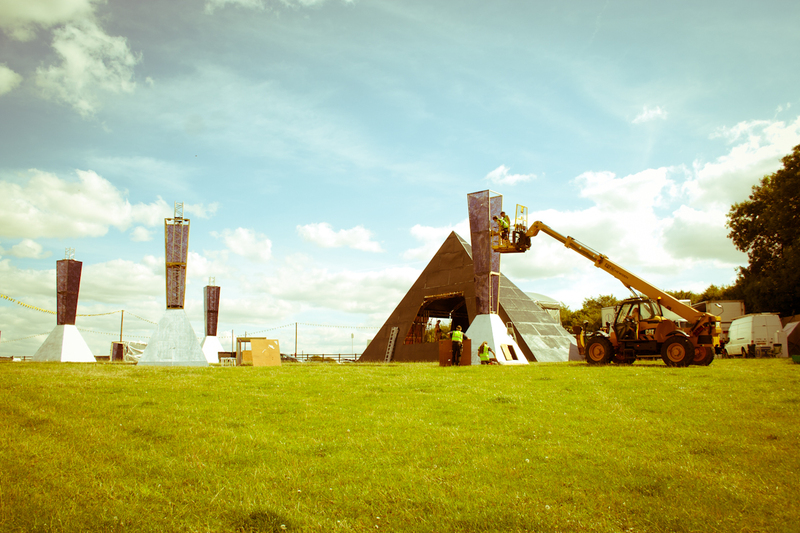 Around the audience 4 towers are situated, along with shards with printed perspex sections suspended on wire representing the electric blue lightning with dmx lighting. 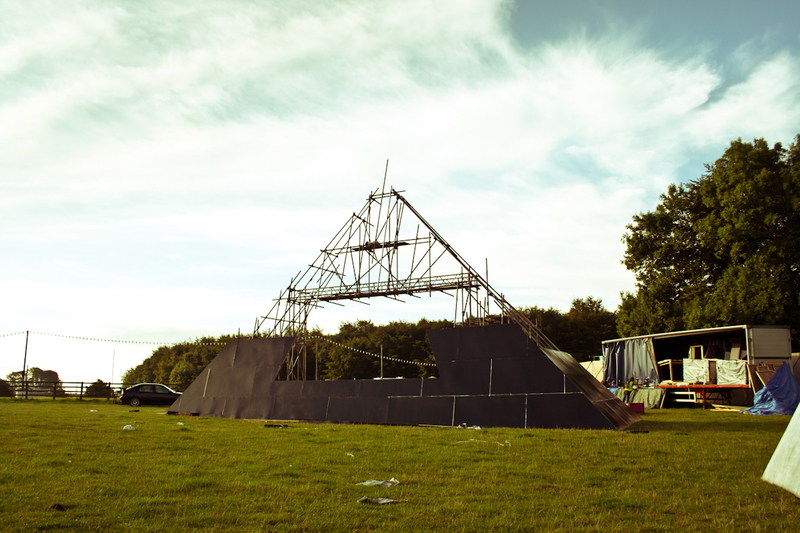 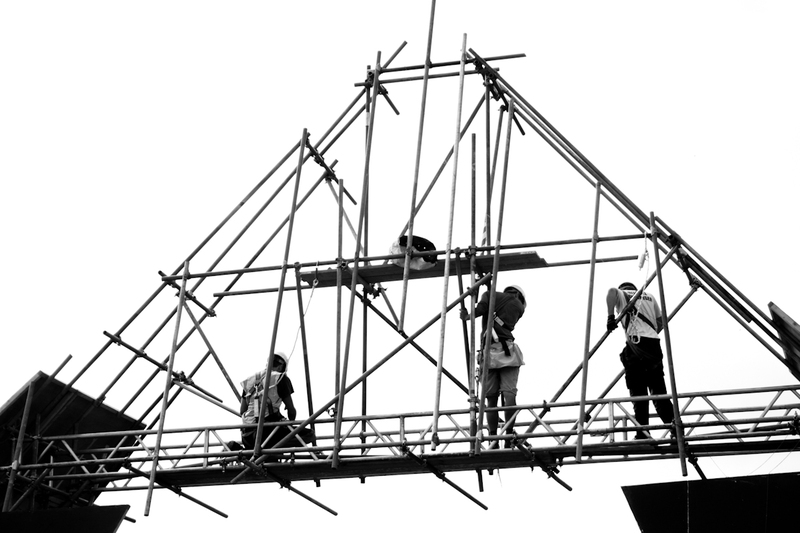 As well as this representation these structures fulfilled the brief of holding flexing capacities at the various music events by surrounding smaller crowds and standing within bigger crows creating an illusion of the space.